As founder of the Peace Corps, Head Start, the Special Olympics (with wife Eunice Kennedy Shriver), and other organizations, Sargent Shriver was a key social and political figure whose influence continues to the present day. This authorized biography, exhaustively researched and finely rendered by Scott Stossel, reads like an epic novel, with “Sarge” marching through the historical events of the last century—the Great Depression, World War II, JFK’s assassination, the Cold War, and many more. Sarge gives us a complete account of Shriver’s life, as well as a thoughtful commentary on the Kennedy family, the Peace Corps, and United States and world history. It is a riveting and comprehensive reconstruction of a life that exemplifies what it means to be a true American. Scott Stossel has been associated with The Atlantic since 1992 when, shortly after graduating from Harvard, he joined the staff and helped to launch The Atlantic Online. 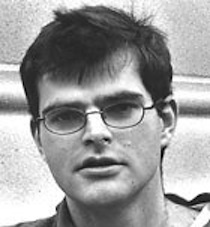 His articles have appeared in a wide array of publications, including The New Yorker, The New Republic, The New York Times, The Washington Post, and The Boston Globe. 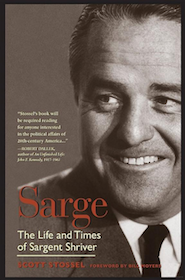 His 2004 book, Sarge: The Life and Times of Sargent Shriver, inspired The Boston Globe to write, "Scott Stossel's superb new biography is an extraordinary achievement," while Publisher's Weekly declared, "This is a superbly researched, immensely readable political biography."